Toronto Cat Rescue has developed several programs to assist members of the public with cat-related concerns. Our goal is to help as many adoptable cats as possible find forever homes, and to provide owners the resources for them to care for their cats for the duration of their lifetime. Post-Adoption Support: Toronto Cat Rescue strives to provide support to our adopters days, weeks or years after an adoption takes place. We are here to support you through the transition period that every cat goes through when they move into a new home. We also always take our cats back if their family can no longer keep them. 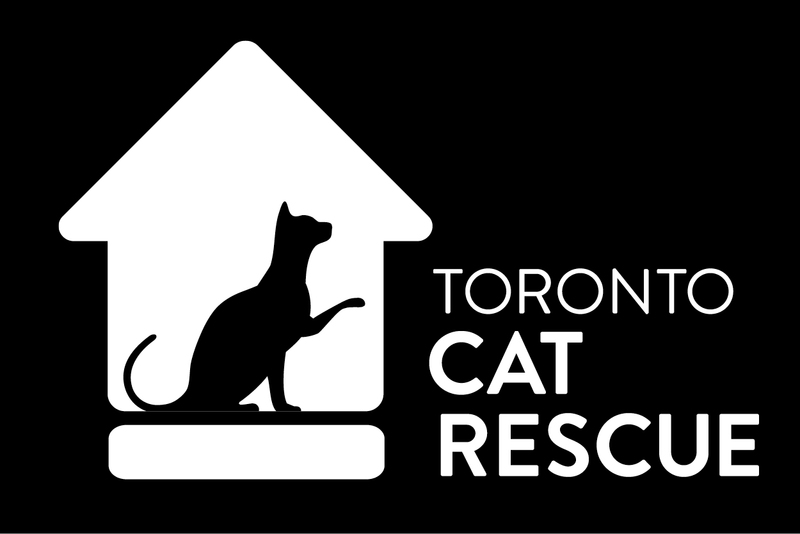 Behaviour Helpline: Toronto Cat Rescue’s Behaviour Helpline is a free consultation service for anyone who has adopted a TCR cat and is experiencing behavioural issues, questions, or concerns. Our goal is to help keep pets where they are happiest – in their homes. Food Assistance: Unexpected financial difficulties can happen to anybody at any time. We hope that nobody will ever be faced with having to give up their beloved pet because they are temporarily unable to feed them. Fortunately, there are some organizations and services that may be able to assist. Kitten Support: Starting approximately in April each year, thousands of kittens flood area shelters and rescues, filling them to capacity. This “kitten season”, which typically lasts until late October, puts enormous strain on these animal welfare organizations. Toronto Cat Rescue will accept the surrender of eligible kittens into our foster program. When surrendering a litter of kittens to TCR, we can also spay and vaccinate the mom for you at no charge. Feral Cat Recovery Centre: In early December 2012, the Recovery Centre opened in a City of Toronto complex in central Scarborough, close to the Toronto Animal Services east shelter. Here, volunteers from Toronto Cat Rescue provide a safe and healthy space for feral/stray cats to recover from their spay/neuter surgery, prior to being returned to their colonies. KW Community Cats: KWCC (Kitchener-Waterloo Community Cats) is a TCR project formed with the goal of implementing a community-run Trap Neuter Return Manage (TRNM) program for the region of Waterloo. Through this project, caretakers of unowned community cats, stray cats, and barn cats may be eligible for access to free spay/neuter services. Courtesy Adoption Posting Program: If you have exhausted all options (including our Behaviour Counseling service) and find yourself in a position where you must re-home your cat, Toronto Cat Rescue offers a Courtesy Adoption Posting Program.